The Legacy of Aris cover preview! | Home of the Thurian Saga Books! The Legacy of Aris cover preview! The Legacy of Aris cover preview! I had to share this one sooner rather than later because I’m so happy with how it came out! 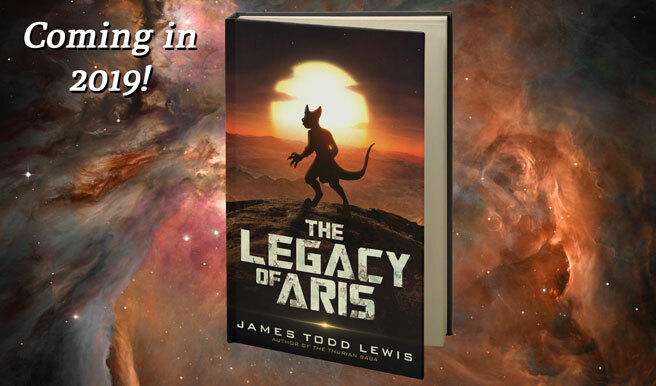 Again using the amazing character art of Kat Miller and a book cover design by ebook launch.com, there is a truly epic cover waiting for The Legacy of Aris when it comes time for publishing! Thank you Genesis Whitmore for the fantastic suggestion! Amazingly cool, isn’t it?! Like I said, I was thrilled. I have been happy with my covers, to date, but I wanted this next one to kick it up a notch. I’d say we’re there! Now, all we need is the right stuff to put between the covers! To that end, two-thirds of my fourth pre-editor review is now complete, and this week, I hope to finish, format, and send the book to the editors for their review! As soon as it comes back and the changes are made, then it will go out! I’m hopeful this could be in late 2018, but I realize where we are on the calendar, and the last month and a half of the year is pretty much a wash, and so I would say a realistic expectation would be early 2019. Thanks for being here for the journey! See you in the future! This entry was posted in Uncategorized, Writing Process, Writing Updates. Bookmark the permalink.